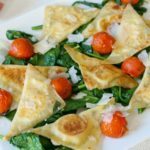 Thank you Idahoan® Steakhouse® Soups for sponsoring this post and recipe for homemade crackers. Grab yourself a bowl and celebrate National Soup Month with me! 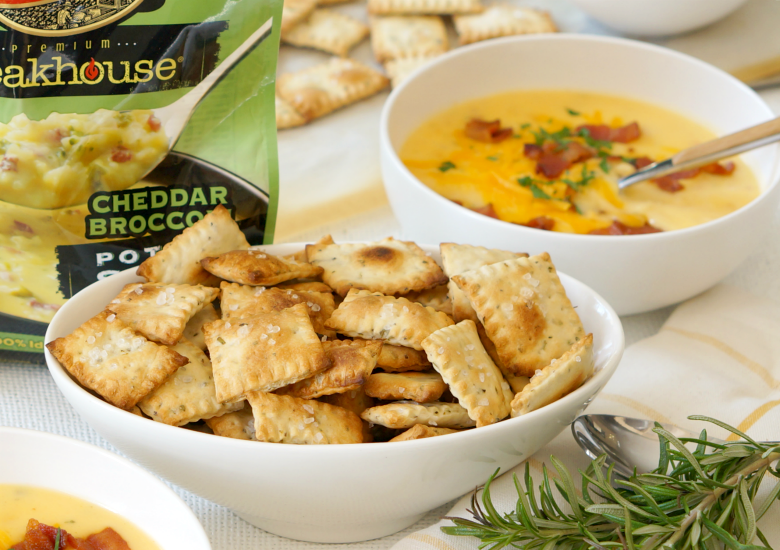 Our recipe for Herb and Olive Oil Homemade Crackers are the perfect complement to our favorite Loaded Potato Soup. Cuddle up on the couch with a bowl of cheesy soup and these delicious homemade crackers to celebrate National Soup Month! When I’m sick, I want a bowl of soup. When I’m hungover, I want a bowl of soup. If I’m craving comfort food, feeling blue, chilly, or suffering in any way… I want a bowl of soup. 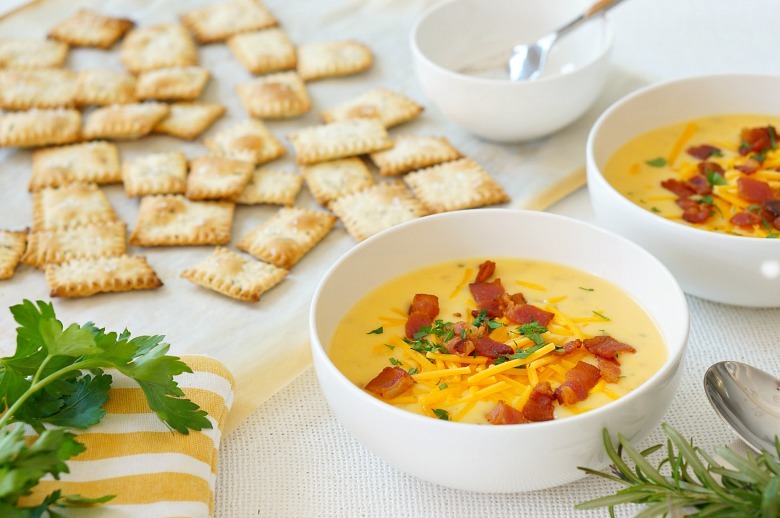 I’m not terribly picky about what type of soup it is… but after trying the new Idahoan® Steakhouse® Soups, I can assure you that when I’m in the mood for a cheesy potato soup, this will be my go-to. In just five minutes, I had the flavorful, slow-cooked taste of restaurant quality soup. 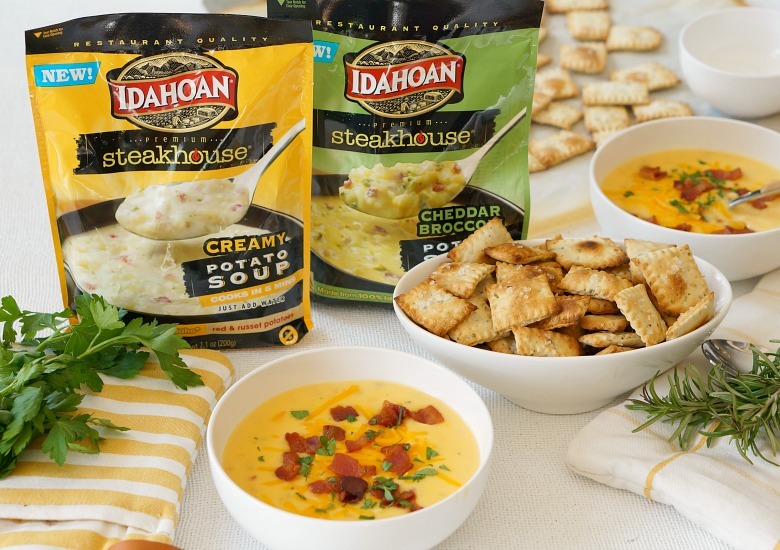 Available in Loaded Potato, Creamy Potato, Cheddar Broccoli and Cheddar Potato, Idahoan Steakhouse Soups bring together real, red Idaho® potatoes with flavorful seasonings and rich cheeses. To prep, you just add water. 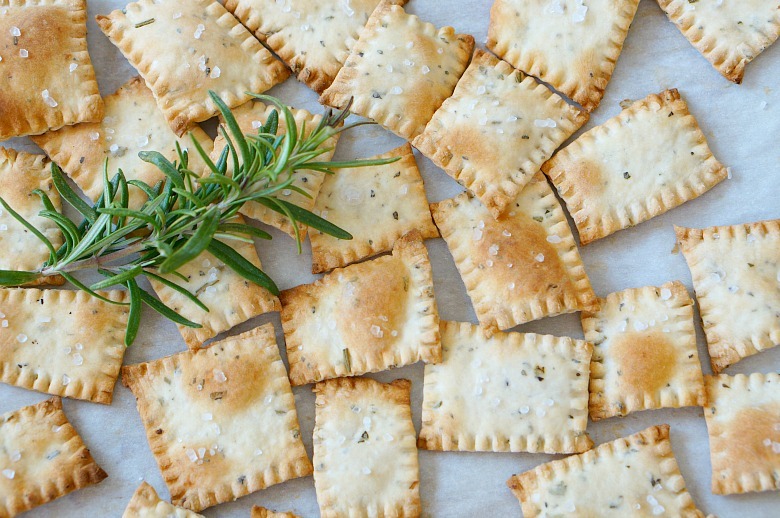 The Herb and Olive Oil Homemade Crackers that I’ve made to serve with my Loaded Potato Soup are almost as easy to make. 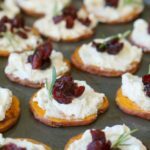 I had always thought that crackers were going to be challenging to make. Turns out, I was wrong. Y’all.. they this huge batch of crackers took just 30 minutes to make (half of that was baking time), and I had all of the ingredients in my pantry. And not to brag, but they taste better than any store-bought version. 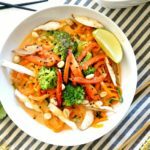 I love topping soup with something crunchy, and these are perfect for most any type of soup to hit your bowl! Preheat the oven to 425 degrees Fahrenheit. In a stand mixer bowl, whisk together the flour, herbs, kosher salt, and sugar. Add in the water and olive oil. Using the dough paddle, beat on low until the dough forms a ball and no longer sticks to the bowl. Dust your countertop lightly with flour and roll the dough out to be as thin as possible. 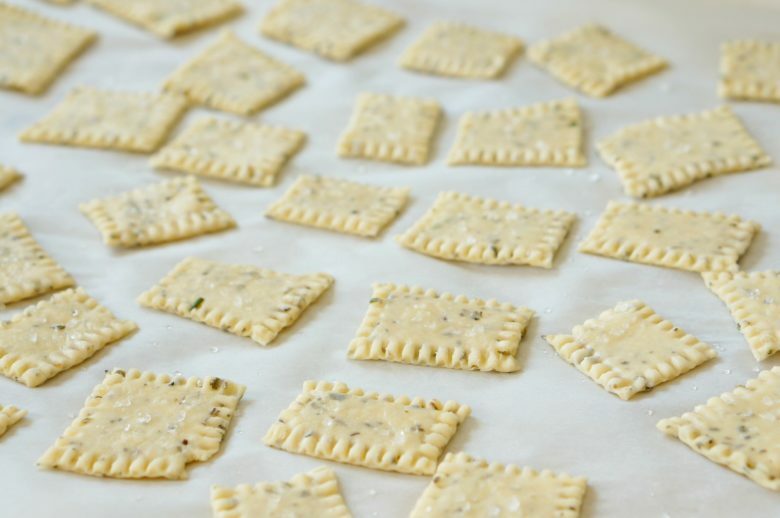 Use a knife or pastry cutter to cut the crackers into squares. 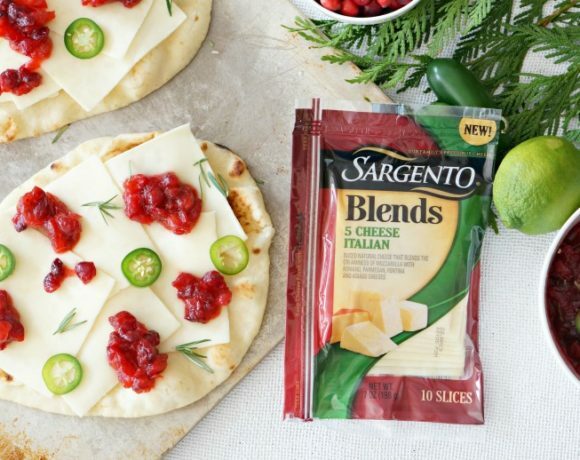 Place each cracker onto a baking sheet lined with parchment paper. Prick each cracker with a fork, then brush them with water and sprinkle with coarse sea salt. Bake for 10-14 minutes, or until golden and crispy. 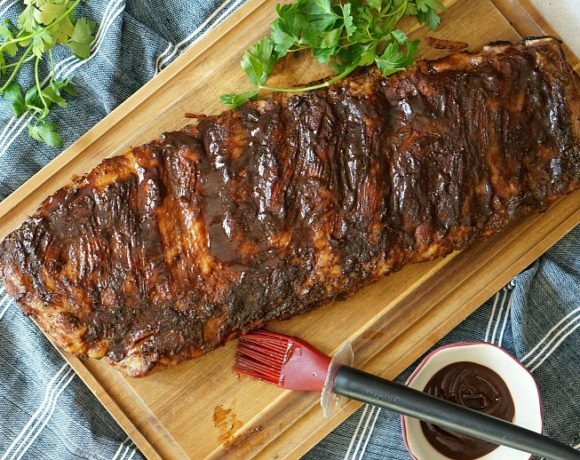 Allow to cool to room temperature then serve with your favorite Idahoan Steakhouse Soup! 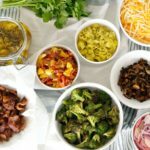 Store leftovers in an airtight container for up to a week. Preheat the oven to 425 degrees Fahrenheit. 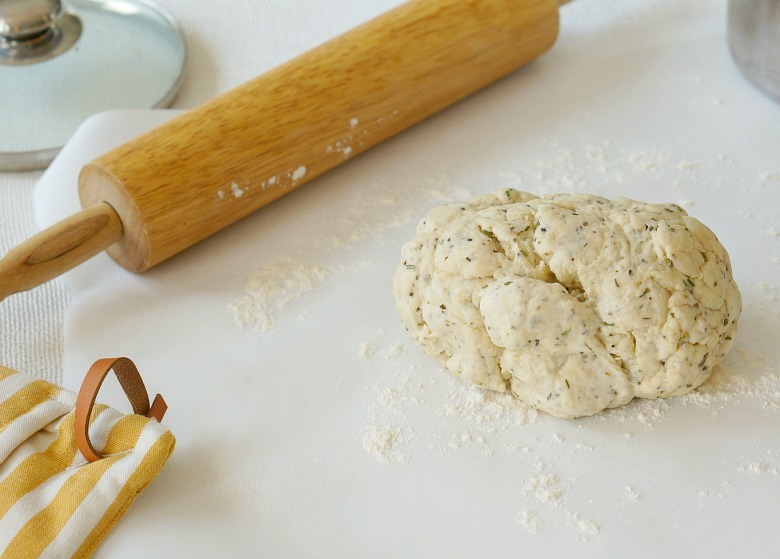 In a stand mixer bowl, whisk together the flour, herbs, kosher salt, and sugar. Add in the water and olive oil. Using the dough paddle, beat on low until the dough forms a ball and no longer sticks to the bowl. Prick each cracker with a fork, then brush them with water and sprinkle with coarse sea salt. Bake for 10-14 minutes, or until golden and crispy. 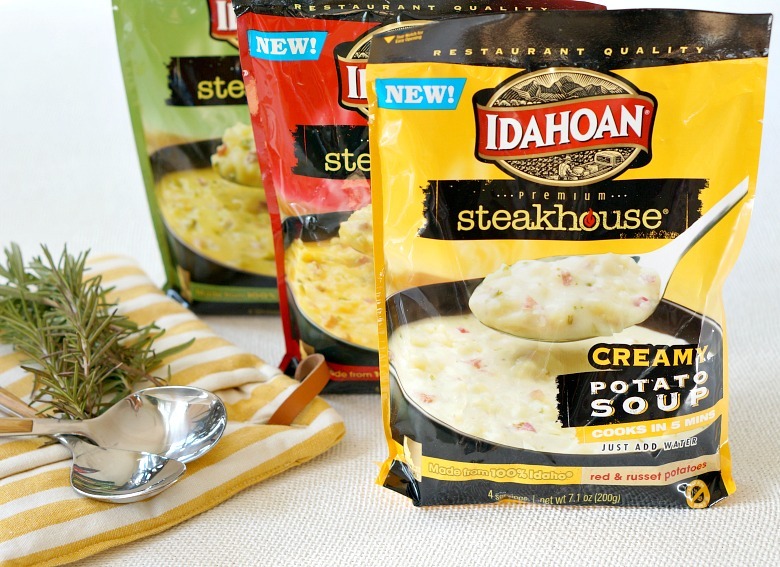 Allow to cool to room temperature then serve with your favorite Idahoan Steakhouse Soup! In the need for more comfort-in-a-bowl recipes? 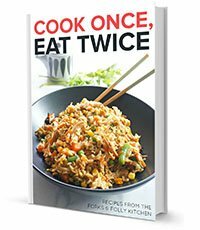 Try our oh-so-heavenly Pasta Carbonara or this more-healthy recipe for Sweet Potato Zoodle Stirfry.